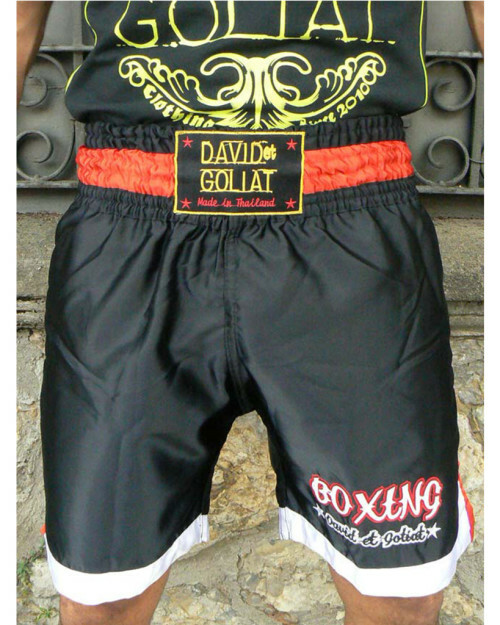 Black boxing shorts with typography and details on back. Perfect for boxing. 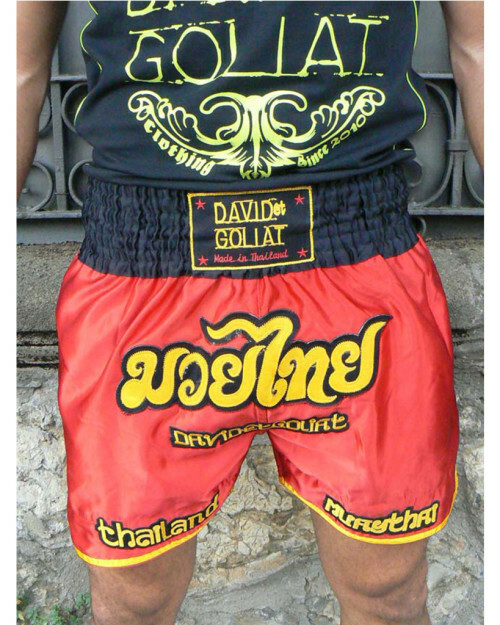 Red boxing shorts with Thai typography and yellow details. Perfect for boxing, kick or muay thai fighters. 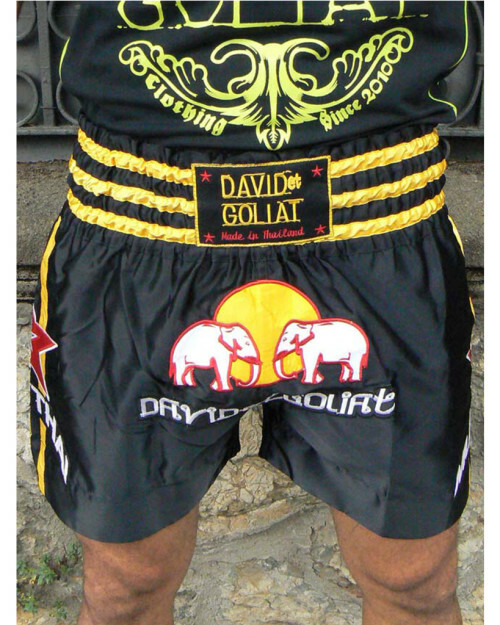 Black boxing shorts with thai elephants and rising sun. Muay Thai letters and star on both sides. Perfect for boxing, kick or muay thai fighters. 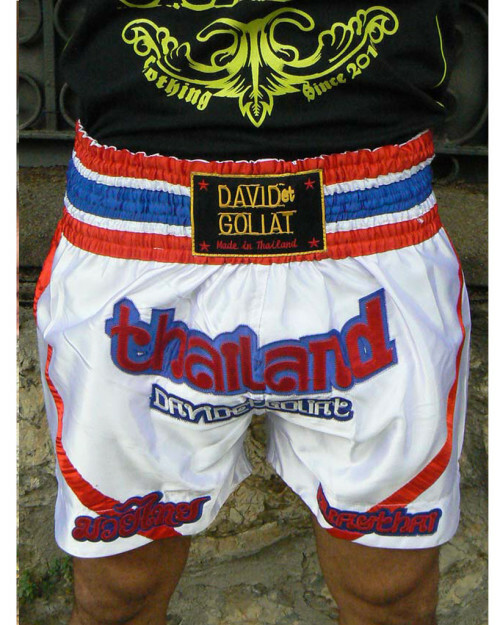 White boxing shorts with Thailand flag design and thai typography. Perfect for boxing, kick or muay thai fighters.